Voices: Tina Fey, Noah Cyrus, Frankie Jonas, Matt Damon, Liam Neeson, Cate Blanchett, Lily Tomlin, Betty White, Cloris Leachman, Laraine Newman. In a world of CGI animation it’s refreshing to know that Hayao Mayazaki (“Spirited Away”, “Howls Moving Castle”) will take us back to basics with his hand drawn art work, every so often. This tells the story of Sosuke, a young boy who finds a little goldfish on the seashore one day. Sosuke and the goldfish become very attached and he decides to call her “Ponyo”. 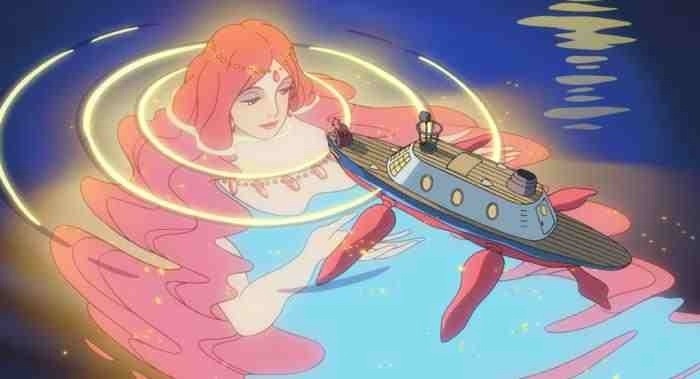 Ponyo has human features being the child of a magician and a sea godess and she longs to be fully human one day but her being out of the ocean causes an imbalance in nature and the balance can only be restored if she can be truly loved by Sosuke. “Ponyo” is a treat for all ages and once again Mayazaki achieves in creating the look and feel of otherworldly places with his basic yet very effective art work. 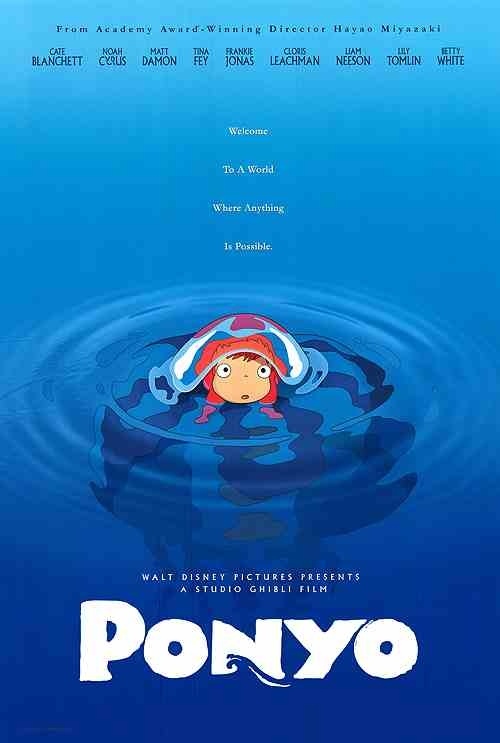 His characters are always endearing and well thought out but the only problem with “Ponyo” is that it lacks the darker side that “Spirited Away” benefited from. This leaves it a little whimsical and straying more to the childish side of animation. However, this is a small criticism and it’s still difficult not to get swept away by the whole delightful adventure. This entry was posted on January 19, 2012 at 2:47 pm and is filed under Animation, Family, Fantasy with tags 2008. You can follow any responses to this entry through the RSS 2.0 feed. You can leave a response, or trackback from your own site.